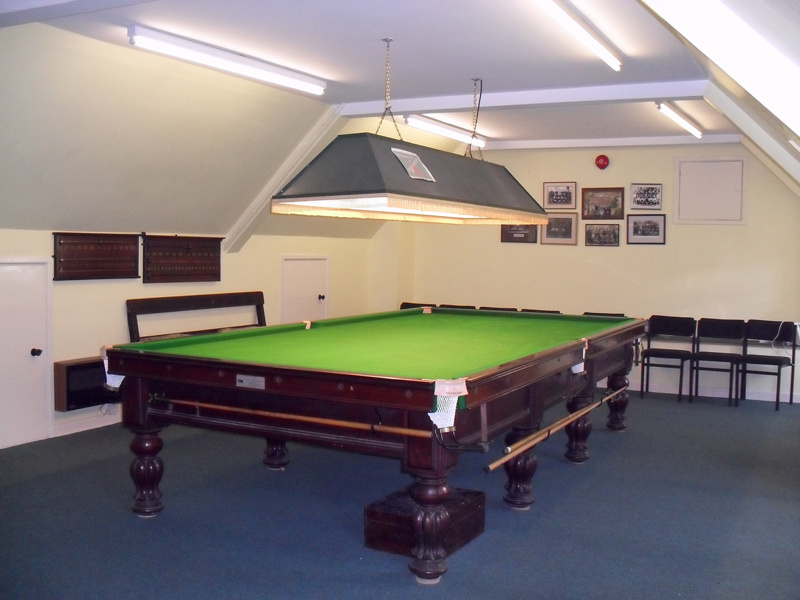 Snooker have use of the Memorial Hall’s dedicated Snooker Room. Snooker having their own room, have a 7 day option, for details of membership contact Peter 01600 890716. 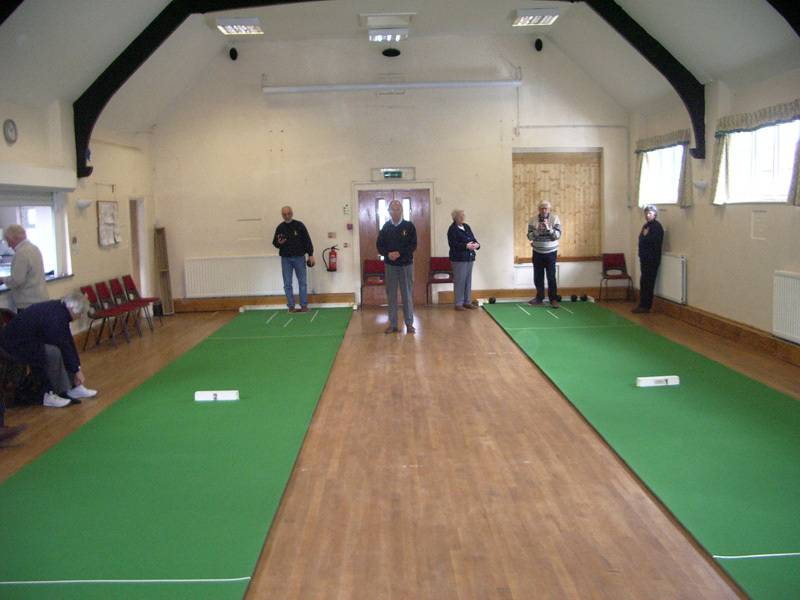 The Short Mat Bowling Club enjoy all year round bowling and have regular sessions twice a week on Monday evenings and Thursday afternoons.The club always welcomes new members of all ages and ability. 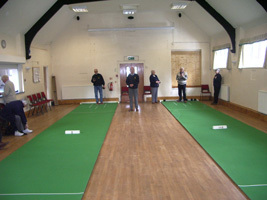 We have spare bowls for you to use, so if you have never tried Short Mat Bowling before, come along and have a go. If you are interested in joining or you would like more information please contact Trevor on 01600 891306. The Whitchurch and Ganarew Memorial Hall 100 Club supports the Hall by raising money for the Refurbishment Fund. Membership of the 100 Club is by purchase of one or more numbered shares. A share costs £12 per year and every four months a draw of all paid-up shares is held. At the draw, half of the money raised by the shares in the previous four months is transferred to the Refurbishment Fund and the other half is given as prizes to the holders of three shares drawn at random. Since it was started in 2011, the 100 Club has raised almost £3000 for the Refurbishment Fund. Application forms are available in the Hall or by email from Trevor at trevor235@trevor235.plus.com. A table tennis group meets weekly. Contact Helen on: 01600 716321.